How could Brexit impact the UK jobs market? With the impending EU referendum just 2 months away, how could a Brexit affect the UK jobs market and UK business as a whole? An exit offers potential for a prosperous EU-free UK, as well as the opportunity to take control of our own affairs. Opinion among UK business however, appears to be swaying slighting towards remaining within a reformed EU, largely due to the uncertainty of a potential exit. For many UK businesses, the uncertainty of Brexit impact is swaying them to remain within a reformed EU. The Financial Times reports that such uncertainty, will result and in fact, already has seen a gradual decrease in business activity, with many companies putting a hold on investment and recruitment activity throughout several sectors. Other European companies too are holding back on any further business and investment opportunities within the UK, awaiting the outcome of the referendum. Being part of the EU delivers the fluid movement and opportunity for workers to freely use their skills within new countries, away from their country of origin. For the UK, this mobility has brought a great number of valuable, skilled workers to our shores, proving spectacularly beneficial to the economy. Will the uncertainty of a potential Brexit, mean we will miss out on such a valuable talent pool & will companies be able to find the candidates they need? What also of the EU workers already here? The UK holds around 2 million EU workers at present. If indeed Brexit became reality, their situation would be significantly unclear and most definitely uncertain. A UK skills shortage within areas such as Construction, Engineering and IT, has been well documented in recent months. 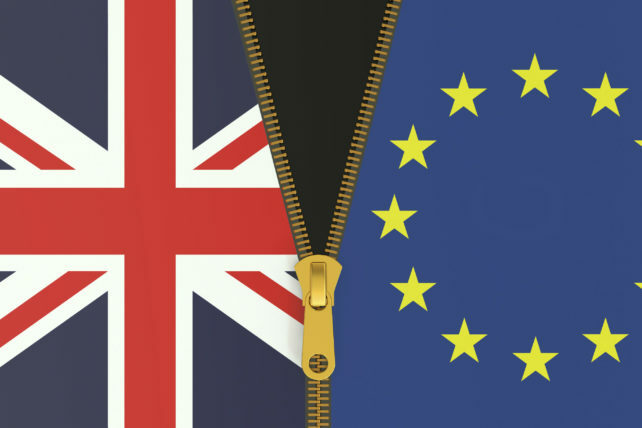 A recent survey of 600 recruitment agencies by CV Library, revealed that over 40% thought that Brexit would exacerbate the UK skills shortage due to the potential restrictions on freedom of movement between Britain & the EU. With an already small candidate pool, lacking in the technical skills required by an improving UK economy, restrictions on skilled workers coming to the UK is likely to only increase the problem. Brexit could potentially force our hand, increasing the need to invest in homegrown talent, a positive and more sustainable outcome. This is a real challenge not only for businesses but also for the education sector and society as a whole, creating a formula to prepare, train and develop young UK workers for the sectors in such desperate need for talent. The UK economy has seen a solid upturn in recent years, following the significant worldwide recession. While largely speculation, an exit from the EU has the potential to cause disastrous damage to this progress. An increase in the skills gap, a reduction in skilled EU workers and a significant loss in overseas investment, as well as general business uncertainty, seems to suggest that remaining as part of a reformed EU package is the best solution for the UK jobs market and business as a whole.